Here at Club MAC Alcudia, we understand that you want to start your holiday as soon as possible. We try to make every moment as exciting as possible, with all our facilities available to guests no matter when they arrive. But before you can relax, here are a few things you should know about checking in and out of our resort. It is important to remember that all our rooms are booked by the night. This means that a booking is valid from 2pm to 11am the next day. When arriving at Club MAC, you can check in from 2pm on your arrival date. This may mean you have a short wait for your room if you get to us before this time. If you are arriving with us in the early hours of the morning and don’t want to wait until 2pm to access your room, we suggest you do book an extra day from the night before. This will give you access to your room straight after arrival; always a blessing when travelling with children! If you have a late flight or just want a final lie in on the last day of your holiday, we have options to extend your check out past 11am. In some cases, we can offer a late check out. These are confirmed the night before departure only. To extend your check out, simply go to the reception after 6pm to ask if there is availability and if the room can be kept for a few more hours. If you’re travelling with children and want to guarantee that you have a room up until you must leave us, we strongly recommend that you book an extra night with us. This will ensure there is a room available to you. For ease, this booking can be done directly with us at reception, even if you have booked your holiday through a tour operator. If we have limited availability, and you can’t keep your room for longer, a courtesy room can be used to store your baggage and freshen up. In any case, your all-inclusive package is still available until you leave the hotel on your departure day. Even when you arrive early, it doesn’t mean that you need to wait to start your holiday! 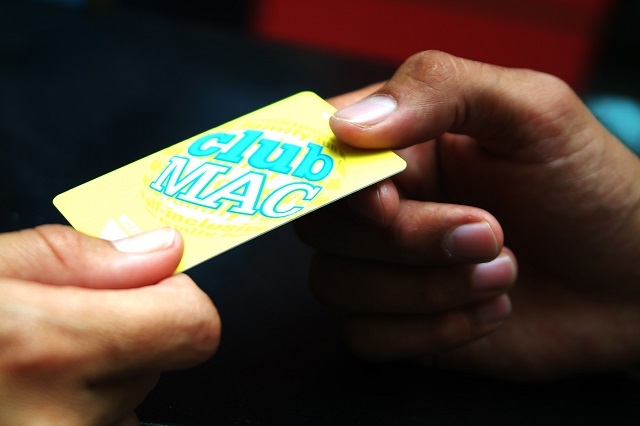 If you arrive at Club MAC before your room is ready, you still have access to all the great facilities we have to offer. You can collect your all-inclusive band on arrival, so why not spend time by one of our eight pools or enjoy some delicious food and drinks while you wait. Similarly, if you have a late flight and want to spend time with us after your check out, all our facilities remain available to you for the entire length of your trip. Club MAC want to ensure that you enjoy every moment of your holiday from start to finish. No matter what time of day you arrive with us at Club MAC, you will always find something on offer to entertain the whole family!